It’s all systems go in Serre Chevalier at the moment and it seems they may be paving the way for the future of ski resorts, with not one but two groundbreaking projects in action. At the forefront of advances in green energy and lift pass technology, this historic mountain resort is firmly cementing its trailblazing place in the future and setting itself apart from other ski resorts. Firstly, Serre Chevalier is well on its way to becoming the first ski area to produce its own electricity. A scheme which began in 2016 and was partially activated this winter and aims to meet 30% of the ski area’s electricity needs by 2021. This will be done using a combination of green energy sources; hydroelectric, photovoltaic and micro-wind turbine electricity. Made possible thanks to a €3.6 million investment, the project will use existing infrastructure to minimise disruption and environmental impact. So what exactly are the area’s energy needs? Well, the area currently covers all 58 lifts across the valley, as well as snow-making equipment (including 14 machine rooms and 577 snow guns) and all other instillations such as office and farm buildings. Currently, the hydro power from the area’s snowmaking water system is the main energy provider of the three, using water conveyed through the snow-making network pipes and passed through turbines to produce electricity. Using the snowmaking system significantly reduces the impact on landscape and resources (to practically none) as no additional installations are required and the water is a renewable resource, rather than a consumed resource. 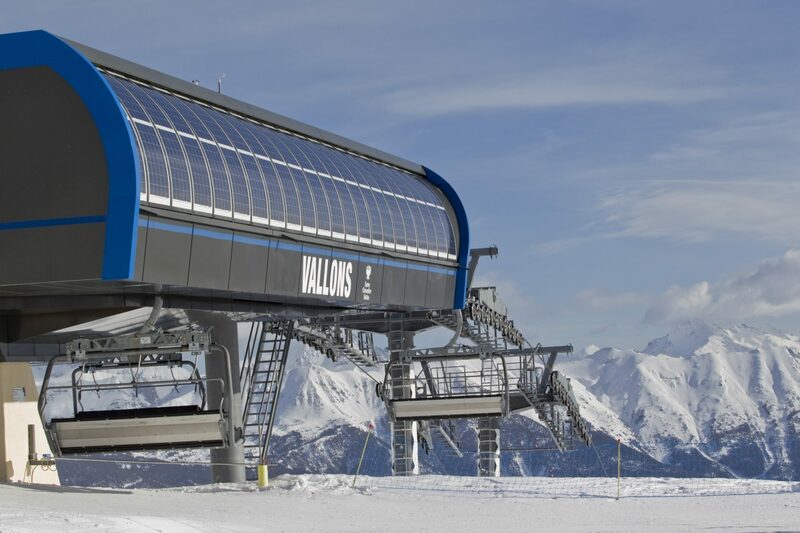 In terms of the photovoltaic elements, you can actually see these in action at the Vallon chairlift (pictured above) which is adorned with photovoltaic (solar) panels, some of the 1400 which will be in operation on existing buildings across the ski area. These panels have surprisingly good production results at altitude thanks to less filtered sunshine and, interestingly, actually operate more efficiently in cold, snowy conditions. Snow has been found to further reflect light which improves photovoltaic performance. All of this in a ski area which averages 2,500 hours of sunshine per year thanks to it’s privileged position in the Southern Alps – we think they’re onto a winner. A unique element of this programme is the fact that Serre Chevalier are making use of locally designed flexible photovoltaic panels, which wrap around the surface of the lift station and allow sunlight to be captured from many angles. This allows for enhanced energy production using all available surfaces. These unique panels were created by local inventor Xavier Duport and his company Sunwind Design. 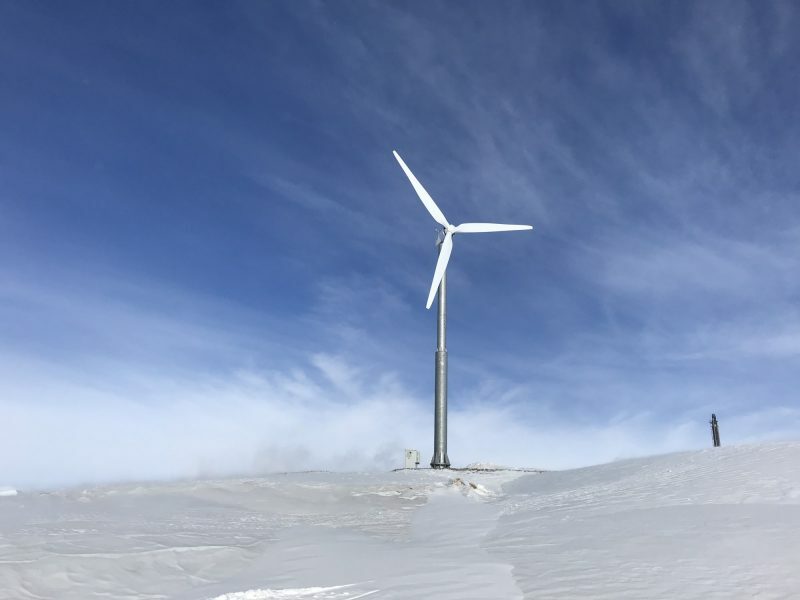 The wind turbines are exposed in the area’s high altitude pass, which we can attest definitely experiences some of the highest winds around – we made the journey up one day in high winds and ended up getting almost blown uphill! So 30% of the ski area’s energy needs by 2021, but what about after this? In the future, Serre Chevalier hope to bring this number up to 50%, and as far as possible beyond this. The number of wind turbines could grow from 2 to 30, Patrick Arnaud, General Manager of the Serre Chevalier Vallee Ski Area tells us, while the flexible photovolaic panels could be rolled out onto over 10 lifts (currently just the one lift is trialling this technology). They are also working with chairlift companies in order to consider the future in other resorts and skiing as a whole. What’s great about this initiative is that Serre Chevalier remain committed to sharing the results of this test with other ski areas; the problems of climate change are highly concerning to all in the skiing community and according to Serre Chevalier, this is too important a project to keep to themselves. Indeed, Patrick Arnaud says: “We want to make our resort a resource to produce energy to see this project duplicated in several other ski areas”. In addition to their green energy network, Serre Chevalier is also trialling a digital ski pass system, which they hope will eventually eliminate physical terminals and allow the area to offer new and more flexible ski pass options. This winter, the second part of this project has been launched and means that certain skiers are already able to make use of the app system. What is referred to as a ‘pre-industrialisation’ phase is in action this season, meaning a gradual increase in numbers of skiers able to migrate their physical pass to their smartphone. 2500 ‘season pass’ holders are involved in the trial and will be able to use the new mobile app at the rate of around 250 per week. Six lifts are currently equipped with terminals to read these digital passes – so don’t be confused if you see a special ‘&joy’ line that you can’t use yet! These lines have been added as additional lines, so won’t be taking any space away from the current lift queues, don’t you worry. New packages and opportunities will be rolled out alongside the mobile passes, such as more flexible family passes and the ability to send days to another user, for example.In our opinion this flexibility is something that will be really useful, particularly for families and will allow for skiers to make the most of their time on the slopes. Skiers will begin to be able to take advantage of this new scheme and its benefits during the 2019/20 season. However, if you’re someone that has just got to grips with contactless lift passes, don’t want to faff around with your smartphone, rest assured, you can also opt to keep your physical pass! The two passes will run alongside each other for several years, so you can opt for the pass you prefer. We’re really excited to see how this develops and can’t wait to try it next season. 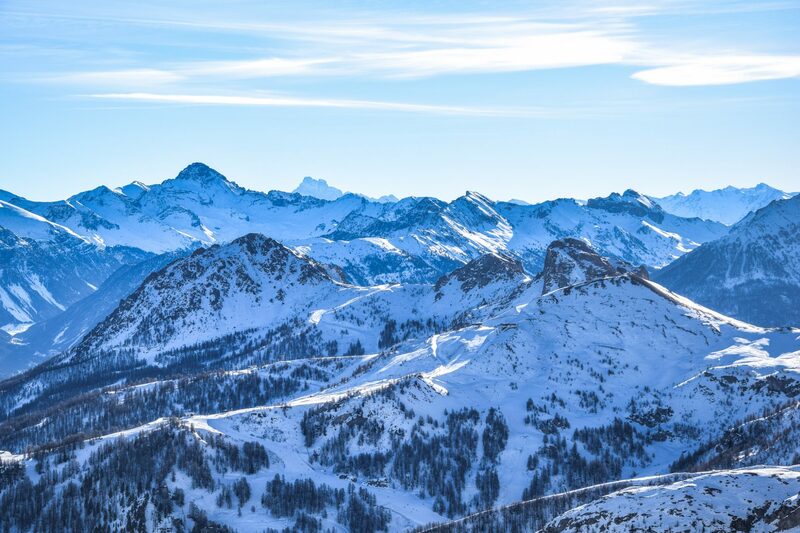 Indeed, with these new developments it certainly does seem that Serre Chevalier is a resort firmly committed to a new way of skiing; new experiences, new opportunities and new ways of sustaining our mountains. Two Major Events In March In Serre Chevalier!